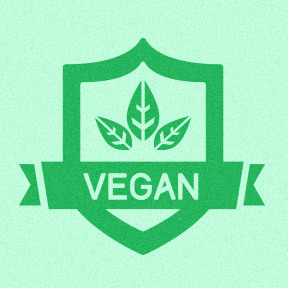 Veganism as a lifestyle choice is growing in popularity for reasons that include certain health advantages, animal compassion, and ethical issues regarding commercial dairy, meat and poultry production, as well as concern for the environment and the preservation of the earth’s natural resources. A healthy, balanced, fiber-rich vegan diet tends to promote weight loss and a healthy body mass index. A plant-based diet helps to reduce systemic inflammation, and provides numerous science-based health benefits, including more stable blood pressure, healthier blood sugar and cholesterol levels, and significantly reduced risk factors for developing heart disease, arthritis and diabetes. The avoidance of red and processed meats may also help to reduce the risk of prostate, breast and colon cancers. Diets high in antioxidant-rich fruits, vegetables, and leafy greens, help to prevent macular degeneration and the formation of cataracts. Additional benefits include healthier skin, hair and nails, allergy and migraine relief, sustained energy and for many, a longer healthier lifespan. Those who would like to convert to a vegan diet, but find the process intimidating, should know that it’s not necessary to eat strictly vegan immediately. In fact, you can simply make a commitment to eating more plant-based foods to crowd out animal products one step at a time. Potential vegans who try to eliminate all animal products at once are the least likely to maintain a vegan diet long term. Committing to a vegan diet for a lifetime may be the ultimate goal, but the transition strategy can begin with one meal a day, one meatless day per week, or taking a one week all- vegan test drive. Rather than creating confusion and stress over meal planning, transitioning to a vegan diet should be smooth, steady and adventurous. A good strategy includes seeking out and sampling several new to you vegan foods, vegetables or fruits each week. Veganizing your diet helps to eliminate some of the unhealthier processed foods you might be eating, but be wary of substituting these foods with too many processed vegan meals. A healthy vegan diet involves more than just eating more vegetables, although that’s a good starting point. Acquiring a vegan cookbook or two that provide recipes for quick and easy home cooked meals is highly recommended, as diet diversity must be considered when switching to a plant-based diet. Smoothies, sandwiches, salads, stir-fries, grilled veggies, and vegan protein powders are easy to incorporate into the diet and are useful for those just starting to implement dietary changes. In addition to a variety of vegetables and fruits, whole grains, nuts, seeds, and vegan milk and dairy substitutes, a typical vegan diet should include protein-based legumes, such as beans, pulses and lentils, as well as tofu, seitan, tempeh, and quinoa. Vegan diets are typically high in fiber, phytochemicals, antioxidants, magnesium, folic acid and vitamins C and E, and tend to be low in omega-3 fatty acids, vitamins B12 and D3, iron, calcium, zinc, taurine, and L-carnitine. While a proper vegan diet consisting of unprocessed single ingredient foods is health promoting, a poorly planned vegan diet may often result in nutrient deficiencies. Vegans must take nutrition seriously to ensure an adequate intake of protein and essential vitamins and minerals. Even with a diet based around nutrient-rich whole plant and fortified foods, many vegans look to intelligent supplementation to maximize their nutrition. Vitamin B12 – Sufficient B12 is vitally important for brain, nerve, and hematologic health, as well as methylation processes and DNA regulation Our ability to absorb vitamin B12 decreases with age, making it a fairly common deficiency among older adults. Studies show that vegans are at risk of B12 deficiency, as no plant foods provide a significant amount of B12. Those on a strict vegan diet should regularly consume fortified foods and beverages and should consider a daily supplement to meet the body’s needs, especially those over age 50, or those who have diabetes, or malabsorption issues. Vitamin D – Vitamin D is essential for calcium and phosphorus absorption, regulation of the immune and neuromuscular system, and bone, dental, and optimal health. With the avoidance of sunshine, many Americans are vitamin D deficient. Most now get their vitamin D through fortified foods and supplementation. Vegans can obtain vitamin D3 (cholecalciferol) through supplements sourced from lichen or vitamin D2 (ergosterol) sourced from yeast. Omega-3’s – Essential fatty acids EPA and DHA, which support brain, heart and ocular health as well as a healthy inflammatory response, are generally sourced from cold water fatty fish. Vegans can get fatty acids by consuming foods that contain ALA, a precursor to EPA and DHA, found in ground flaxseeds and concentrated plant oils. As many people have a limited ability to convert ALA to EPA and DHA, supplementing with ALA can help to prevent deficiencies, especially in those committed to long-term veganism. L- carnitine – This amino acid, largely sourced from meat, is important for the transfer of fatty acids to support energy production in the heart and other muscles. Vegans typically have lower levels of L-carnitine in their muscles. For optimal health, vegans should consider supplementation. Taurine – Typically found in meat and seafood, this amino acid is needed for the proper electrolyte balance, insulin activity, and cardiac and immune system functions. As vegans can have low levels of taurine, supplementation is an option. Calcium – Vegans and non-vegans alike should strive to get sufficient calcium. Vegan diets tend to be lower in calcium, so vegans should strive to include good calcium sources daily, including dark green leafy vegetables and calcium fortified foods as well as supplements. Along with the health promoting benefits of a vegan diet needs to come an awareness that a vegan diet is susceptible to being nutritionally poor. Going vegan does not necessarily make you healthier on its own. All potential vegans and those currently adhering to a vegan lifestyle must care about and pay attention to their nutrient intake. Adding supplements is a smart way to ensure your body is getting what it needs for optimal health and function. Vegan B-12 2500 mcg by Deva Nutrition: This 100% vegan, bioactive sublingual lozenge provides 2500 mcg of fast dissolving B-12 as methylcobalamin, a body-friendly coenzyme form of B-12. Wheat, yeast, dairy, gluten, fish, egg, sugar, salt and animal product-free. ON SALE Vegan True® Non-GMO Vitamin D 1000 IU by Source Naturals: Sourced from organically cultivated agaricus bisporus mushroom fruiting body this product provides 1000 IU of Vitamin D2 as ergocalciferol in support of immune function, healthy bone maintenance, and muscle strength. Yeast, dairy, egg, gluten, corn, soy, wheat, sugar, salt, preservative and artificial ingredient free, vegan formulation. Vitamin D3 Vegan Liquid by Pure Encapsulations: This vegan liquid vitamin D3 (cholecalciferol) formulation is derived from naturally occurring, sustainably harvested lichen in support of bone, breast, prostate, cardiovascular, colon and immune health. Gluten free, Non-GMO vegan formulation. ON SALE L-Carnitine 500mg by Now®: This pure form of non-animal sourced L-carnitine as L-carnitine tartrate helps to maintain overall good health by facilitating the transfer of fatty acids into the mitochondrial membrane for cellular energy production. Gluten, wheat, soy, milk, egg, fish, shellfish, sugar, and preservative free, vegan formulation. ON SALE Plant Based Calcium Magnesium by Nature’s Answer: This multimineral complex provides bioactive calcium, magnesium and 72 trace minerals derived from red algae and seawater harvested in the pristine waters off the coast of Iceland. Gluten free, kosher, vegan formulation. This entry was posted in Home and tagged B-12-Active™ by Integrative Therapeutics:, Calcium, L- carnitine, L-Carnitine 500mg by Now, Omega- 3's, Plant Based Calcium Magnesium by Nature’s Answer, Taurine, Taurine by Designs for Health, Vegan B-12 2500 mcg by Deva Nutrition, Vegan True® Non-GMO Vitamin D 1000 IU by Source Naturals, Vitamin B12, Vitamin D, Vitamin D3 Vegan Liquid by Pure Encapsulations. Bookmark the permalink.